My screenprints, monoprints and monotypes are true original prints made by hand, one impression at a time. 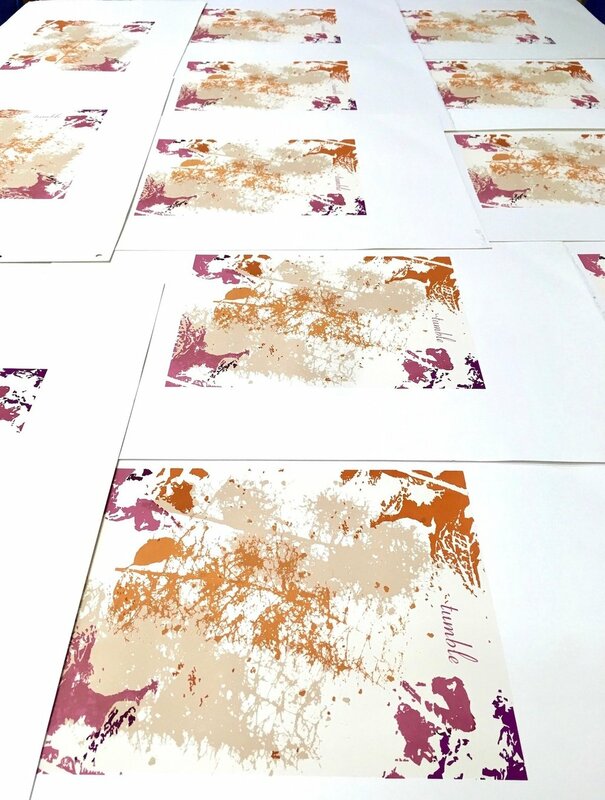 The tactile quality of the ink on paper and the printing style, are inseparable parts of the artwork. Working en plein air, I enjoy emphasizing the rich color and sensuous grace found in the curves, tilt and sway of plants and trees set against hardscape elements of houses, barns and sheds. Looking closely, staying focused and going with the flow are essential methods for expressing a subject’s mood and capturing a sense of place. If you would like to receive occasional emails from me with news of new work, upcoming exhibitions and notes from my studio, please sign up here by simply adding your name and email address above. Because I value your privacy your information will never be shared and you’ll be able to unsubscribe at any time. A selection of my prints and watercolors are available for direct purchase by visiting my website’s shop page here. My larger pastels (25”x 31”) can be purchased by visiting my contact page or by contacting one of the fine art galleries listed here.